Matala Weighted Air Hose is a self sinking air hose designed to sink to the bottom of your pond without additional weight. A 3/8" Sinking Air Hose can be used alone with a low back-pressure diffuser or as one of the outputs of a heavy duty manifold. Can be purchased in 10 foot increments or 100 foot rolls. 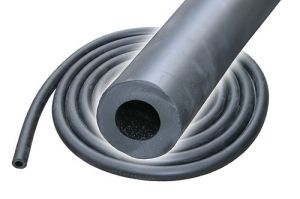 Matala Weighted Air Hose is a self sinking air hose designed to sink to the bottom of your pond without additional weight. Can be purchased in 10 foot increments or 100 foot rolls. Matala Weighted Air Hose is a self sinking air hose designed to sink to the bottom of your pond without additional weight. A 5/8" Sinking Air Hose can be connected directly to any Hakko 25L/LP, 40L/LP, 60L, 80L, and 100L Linear Air Pump. Can be purchased in 10 foot increments or 100 foot rolls.